iMediaSuite is based on some UPnP/AV specifications to connect other UPnP/AV and DLNA devices for iPhone, iPad and iPod touch users. iMediaSuite is builded as an universal application, so you can use the single application on your iPhone and iPad 🙂 Using the application, you can play contents on media servers of UPnP/AV and DLNA, and share images in your picture library in your home network. This application is a sample application using mUPnP for Objective-C which is a open source framework for UPnP developers. Player is based on UPnP/AV Media Player specifications, you can play contents on UPnP/AV or DLNA media servers. The player supports only the following file formats to play. Sever is based on UPnP/AV Media Server protocols. By selecting images in your photo library in iPhone or iPod touch, you can share the images based on UPnP/AV Media Server specifications on your home network to play the shared images by other UPnP/AV Media Player such as DLNA. Renderer is based on UPnP/AV Media Renderer protocols. you can select contents in UPnP/AV or DLNA media servers, and push the contents to other devices based on UPnP/AV Media Renderer specifications. Using the panel, Renderer is based on UPnP/AV Renderer protocols. you can select contents in UPnP/AV or DLNA media servers, and play the contents other devices based on UPnP/AV Renderer specifications. Renderer Select a target renderer device in Renderer mode. 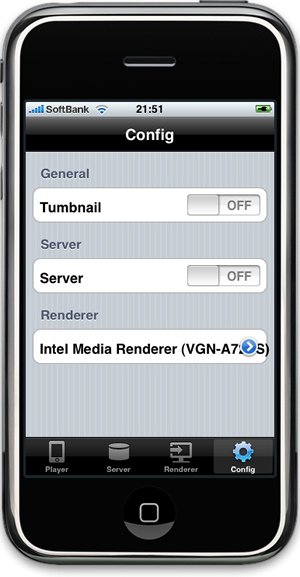 iMediaSuite has a debugging option in the settings menu. iMediaSuite outputs a debugging log file, iMediaSuiteDebug.log, into the document root directory when the option is enabled, then you can get the file using a sharing function of iTunes. 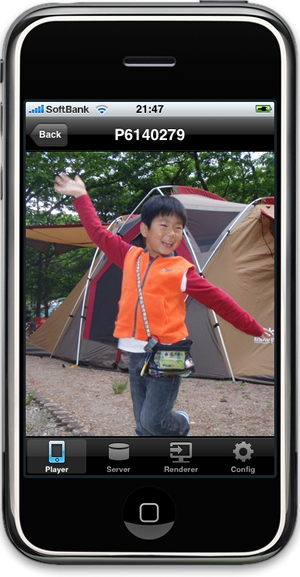 Please check iPad: About File Sharing to know the sharing function in more detail. If you have any problems using !iMediaSuite, please use the tiny debugging tool, upnpavchk (Perl Version), and send the output log as the following. To run the debugging tool, you have to be able to run Perl on your computer. !MacOSX is a easy platform to run the debugging tool because Perl is installed on !MacOSX as default. The Win32 version, upnpavchk (WIN32 version), is available too. Please run the debugging tool using Windows console utility.